Ciara McGuone is an Executive at the Small Firms Association (SFA), a national organisation that exclusively represents the needs of small enterprises in Ireland. She is responsible for providing advice to members on various aspects of HR and employment law. She also regularly prepares articles on topical employment law issues. Ciara graduated from National University of Ireland, Maynooth with a BCL in Law and Politics. She completed a Masters in Law in Trinity College Dublin in 2013, receiving a first class honours. Ciara has also completed a CIPD Diploma in Human Resource Management and recently received a Certificate in Mediation from the Institute of Public Administration. 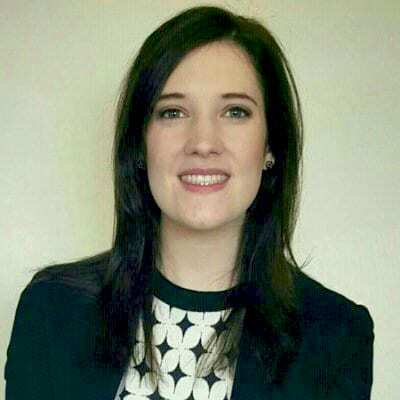 Prior to joining the Small Firms Association, Ciara worked in an HR Management role at Dublin City Council. She was also previously an employment law consultant at Peninsula Business Services and an HR Executive at Canavan Byrne. Ciara has a strong background in HR and employment law and has represented clients in the employment law tribunals, conducted disciplinary, grievance and appeal hearings, and also been involved in the recruitment and selection process up to CEO level.